We are currently recruiting for Warehouse General Operatives for our Dublin Distribution centre. These roles will require candidates to be available to work day/night shifts in areas with temperature and humidity variations (Dry, Cooler, Freezer). Be part of the biggest Foodservice Team on the Island of Ireland.. Operate an electric power pallet truck or forklift to transport product (Current IPAF licence holders only). Stage pallets for loading on proper bay locations. 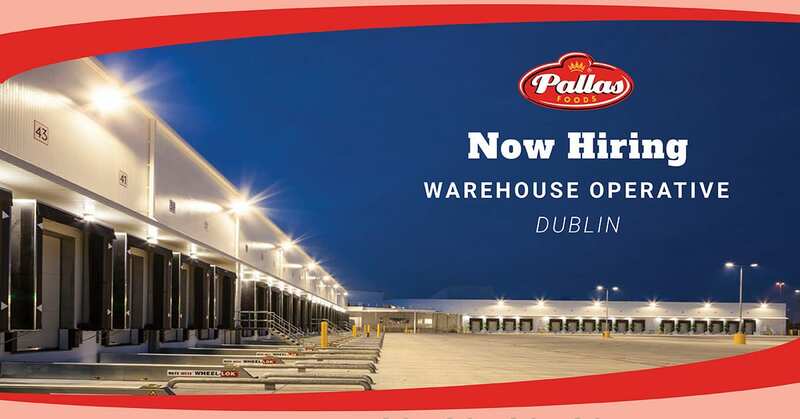 Follow Pallas Foods preferred work methods at all times, and immediately advise supervisor of any unsafe conditions. Follow procedures to comply with HACCP policy. Load trucks to various destinations. Other duties and responsibilities that may be assigned to you by your manager.